A couple weeks back North Korea unveiled its Hwasong-12 missile. The big hulking vehicle used for the test launch was not a transporter-erector-launcher (TEL), but rather just a Transporter-Erector (TE)! A TE (or T/E) is neither a TEL nor a MEL. And since we’re big on the rectification of names here at Arms Control Wonk, it seems like a good time to run down the differences among the three. Prepare for the excitement that can only come from the pedantic definitions of missile support equipment, illustrated by the very useful declassified diagrams from old CIA reports. The most common term for a truck or vehicle lugging around a missile is “TEL”: Transporter-Erector-Launcher. This is the most common of the three and is an integrated single vehicle that transports the missile, erects it, and launches it. Used for everything from Scuds to the Topol-M to the Chinese DF-15 and DF-21D to almost all North Korean missiles, TELs are the easiest thing to find. From left to right: A declassified notional diagram of a TEL; a Russian RT-2PM2 Topol-M ICBM TEL; a flock of Chinese DF-21C TELs in their natural habitat. 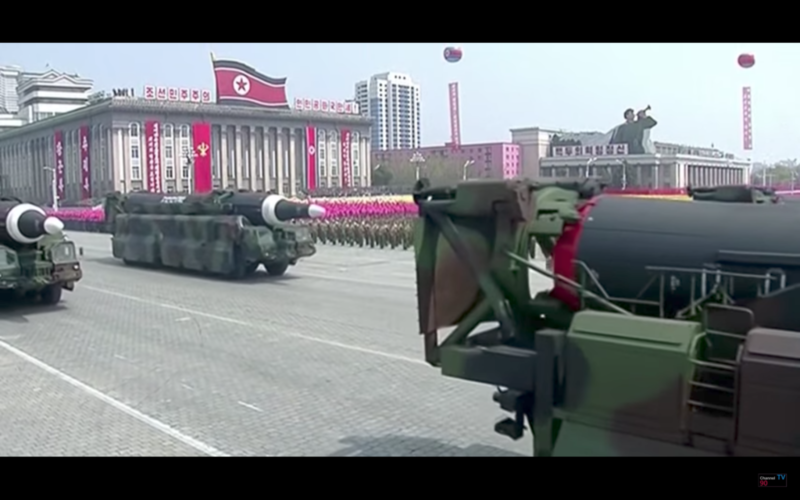 TELs are typically wheeled, but the DPRK has reintroduced tracked TELs into the mix after many decades of absence. Tracked TELs are effectively missiles mounted onto modified tank chassis, giving them different mobility options in regards to accessible terrain, though at the cost of maintenance and fuel consumption. The second is slightly less common: MEL, Mobile Erector Launcher. This terminology is not consistently applied, but generally refers to a non-integrated trailer-style carrier for a missile. Originally, this term specifically referred to an erector-launcher (technically an EL, though I have literally never seen EL used) that could be hooked onto a tractor or prime mover and moved around. The main purpose was not necessarily to be a platform capable of scoot-and-shoot operations (which is more the purpose of a TEL), but just to provide a platform that was not permanently locked to one location. MEL was used to describe the Pershing II missile system and Patriot anti-missile system. It has since been applied to various similar non-separable trailer-based launch systems and is sometimes used interchangeably with “non-integrated TEL,” “trailer-type TEL,” or, confusingly, sometimes just TEL. For example, the Chinese DF-21A and DF-31A both have trailer-based launch systems, but no imagery suggests that the trailer is (or is capable of) separating from the prime mover prior to launch, creating a pedantic grey area for whether non-separating trailer-based launch platforms are “articulated TELs”, “TEL AS A TRAILER”, or MELs. The terminology for tractor-trailer based missile systems is evolving, and both MEL and TEL have been applied to tractor-trailer systems. The main practical takeaway is that a given MEL is usually less rugged than an equivalently-sized TEL. TELs are usually somewhat faster and capable of tackling different kind of off-road terrain than MELs, though MELs definitely can be built to included limited off-road capabilities. From left to right: A declassified early diagram of what the CIA thought a future DF-21 launcher could look like; Chinese DF-21A MELs; North Korean MEL from the April 15 parade. 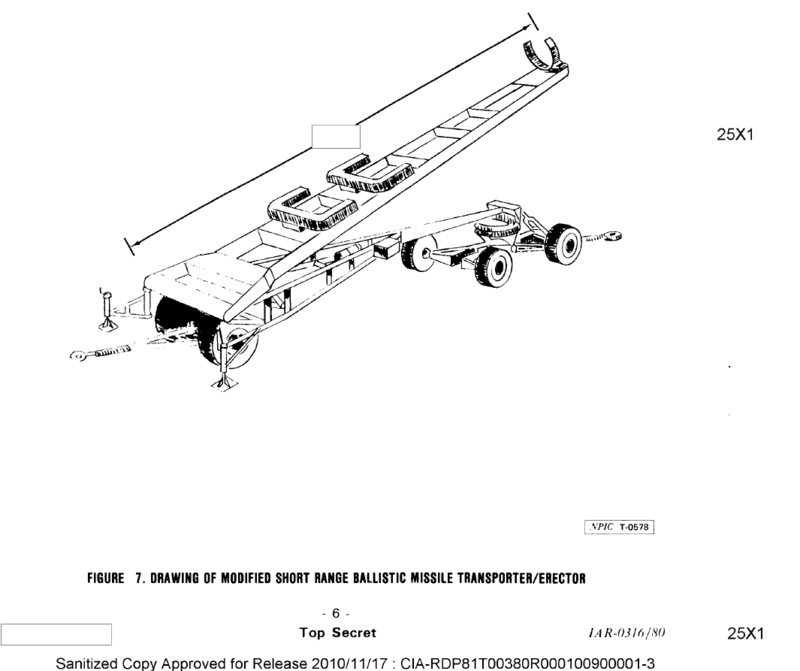 Note that the diagram is labeled “TEL AS A TRAILER” not MEL. Because nothing can be easy. I still call the non-integrated/tractor-trailers for the DF-21 TELs — and nobody will stop me. Then comes the TE or T/E, the transporter erector. The U.S. uses Transporter Erector to refer to the large vehicles used to insert Minutemen III ICBMs into silos, but the more salient usage here is in reference to a vehicle that backs away from the missile launch position after erecting the missile. TEs are usually much lighter and thus risk significant damage if exposed to the violence of a missile launch. Examples include the Chinese DF-3, one basing mode for the DF-4, and now the Hwasong-12’s test launch configuration. The DF-3 and DF-4 used very light trailers to move the unfueled missiles onto a pre-set firing table. You can see this in a video of a DF-4 launching. The Hwasong-12 is weird, as it appears to use something based on the same chassis as the Musudan’s TEL. And like the Musudan, it carries a firing table along with it. So far, so good. However, in the test footage released after the first successful Hwasong-12 test, the “TEL” is seen erecting the missile, ground crews attach the firing table to the ground, and then the vehicle pulls away! The Hwasong-12’s “TEL” actually is a TE with a detachable firing table, allowing for the vehicle to clear the area — avoiding any damage if the missile goes, as Jeffrey likes to say, kablooie. From left to right: The DPRK Hwasong-12 TE with elevating arm still up; the transporter-erector pulling away from the Hwasong-12; The Hwasong-12 a few seconds prior to launch, with TE nowhere to be seen. TEL: One big vehicle that transports, erects, and launches the missile. MEL: A tractor-trailer (two vehicles) in which the trailer erects and launches missile. TE: Either a tractor-trailer combination or single vehicle that transports and erects missile, but leaves the missile on a firing table and departs prior to launch. Possible DPRK TE: Modified TEL that drops firing table and missile at launch position. Possibly could be hardened (or the basis for a future hardened) TEL, but unclear. Analysts are inconsistent in their use of these terms, making them frustrating to explicitly and definitively differentiate. The Hwasong-12 deviates from typical TE designs, as typical TEs are very light trailers attached to (more or less) generic prime movers. The Hwasong-12 instead appears to use the same special heavy vehicle chassis as the Musudan. 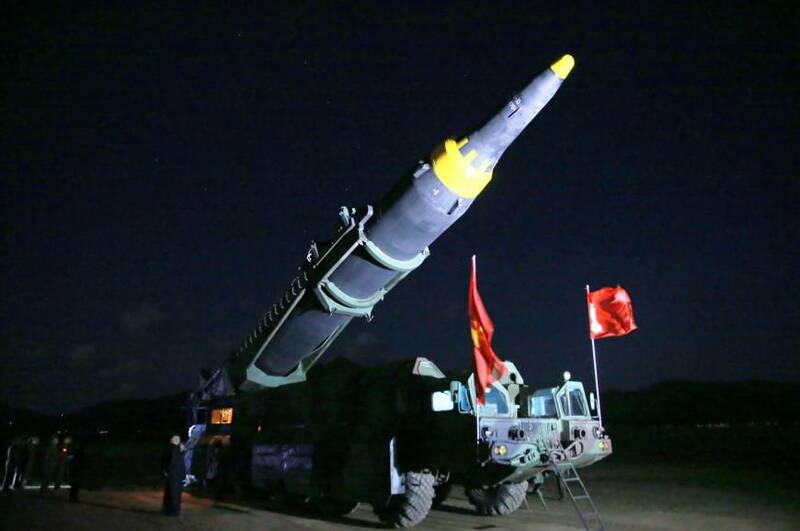 Unlike the Musudan, which fires with the actual vehicle still attached, the Hwasong-12’s prime mover detaches its firing table and clears the launch site. There are other combinations for non-ballistic missile systems (like the fancy TELARs that some SAMs have), but these are the three vehicle types most relevant for ballistic missiles. I’m sure that within the engineering and space launch community, where things are better formalized and standardized, there is a more rigorous set of definitions, but these are the ones used for decades by the analyst community on both the classified and open-source side. Almost any land-based mobile or transportable offensive ballistic missile system will be carried in one of these three configurations, with TEL being the most common and TE being the least. If the wartime objective is for the U.S. is to search and destroy the TE+Missile when it comes out of its hiding cave, does the TE+portable launch pad (table) take longer to setup the missile than a TEL? My common sense estimate is deployment and firing take an extra 10 or so minutes to halt the vehicle, have the army personnel deploy the launch table onto flat terrain, and then, erect and secure the missile for firing. All while the F-16s and Predators are orbiting with their Hellfire missile to destroy the IRBM on the pad or TE. Imagine an array of birds of prey (like a hawk) in the sky that sees all movements of small prey on the ground with its high resolution vision. Now imagine that sensor array using high resolution radar, IR, and visible. I think it is possible to mitigate much of these missiles before launch. I even question TELs themselves, whether treaded or wheeled as they are certainly slow lumbering vehicles that will take some time to move from their hiding tunnels to the launch sites and to erect the vehicles. But these TE+launch pad would seem to have much longer setup time. All very interesting as ever, but in this case I’d lean towards an explanation of it being a testbed special. If I were testing something new and of unknown reliability, I’d probably not want to run the risk of losing some expensive TELs until I was pretty confident in the missile’s reliability.